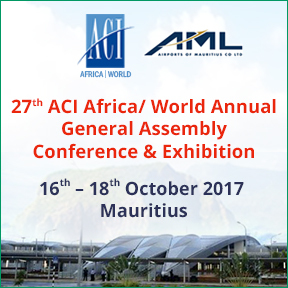 The 27th ACI Africa/World Annual General Assembly, Conference and Exhibition is taking place in Port Louis, Mauritius from 16 –18 October 2017 under the theme “Bold leadership in a time of change”. The theme of this year’s conference recognizes that whatever the set of changes, airports play a crucial role in the economic and social health of communities, countries, regions and the world at large, and they must craft a strategy for their sustainable development to continue providing those benefits. With over 500 airport professionals expected to attend, the 27th ACI Africa/World Annual General Assembly, Conference and Exhibition is the perfect place to learn, teach, network and reunite with industry peers. We will be happy to provide information around AA+, a pre-built enterprise wide analytics solution for Airport Operators. Airport Analytics (AA+) is a comprehensive solution with in-depth analytics for all areas of airports business by integrating data across 10+ airport systems into a centralized data warehouse. Airport Analytics (AA+) drives real-time data driven actions to optimize operational performance. AA+ enables business users to do historical data analysis with role based intuitive and insightful dashboards. AA+ provides what-if modeling for revenues, operations, forecasts and so on with its high end statistical models.